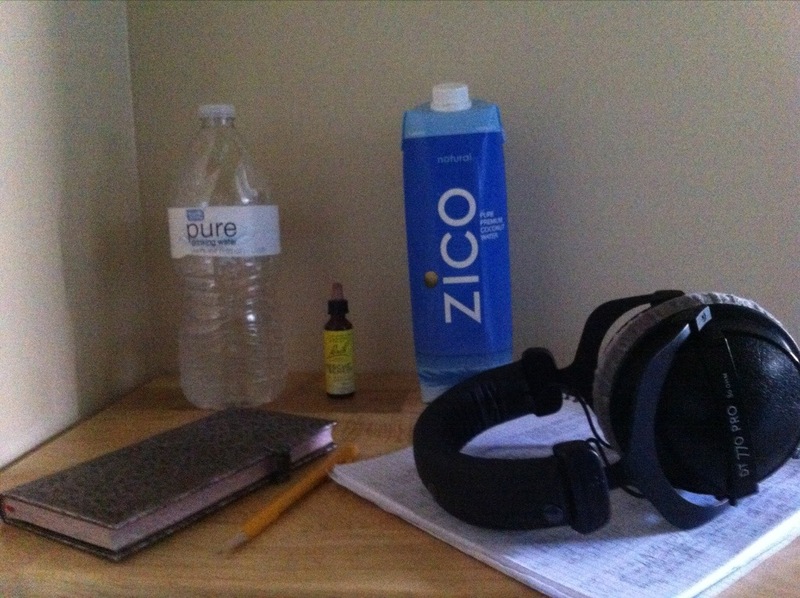 Water, Coconut Water, Rescue Remedy, Headphones & Lyric Book with my trusty pencil are my vocal recording essentials. Just finished recording my vocals for our latest album! Being hydrated and relaxed are key for me, so much so that all the warming up in the world won’t do any good without h&r. Works great for shows too! Water, water, water! Sip it through out the sessions. Coconut water. This is a trick I learned from a vocal coach years ago. It has lots of electrolytes, without all the drying sugars of sports drinks. Bach Flower Remedies Rescue Remedy: miraculously calms nerves. Next in my arsenal, a solid set of headphones. Plus, I always have my lyric book handy to note edits made during recording. I always write my lyrics in pencil! That way I can easily edit as I go along. Of course all this is just on my end, a great producer and great equipment are equally important, and I am forever grateful to the magic my husband works in the studio. If you want to hear our music, check out my band broaddaylight! 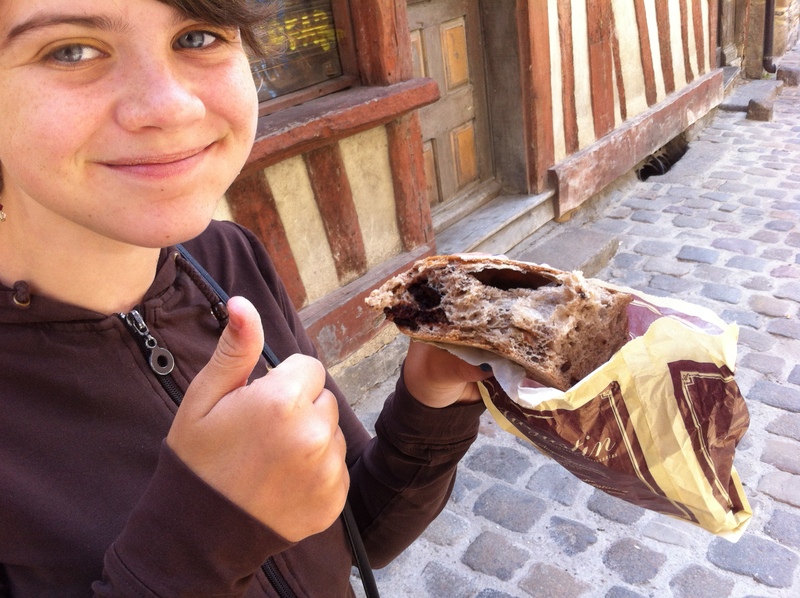 Le Chef enjoying a delicious french kalamata olive loaf – a wonderful treat in itself and fantastic with the mayo! An eleven year old girl in France taught me how to make delicious Mayo in 5 minutes. 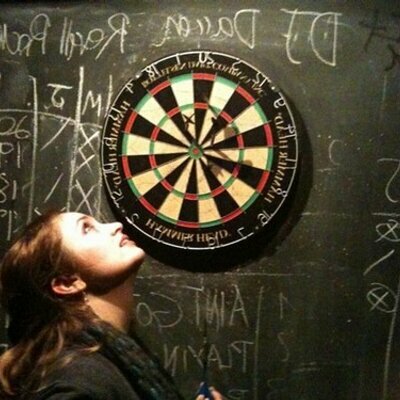 I’ll never buy it from the store again, and why should I? It’s so easy that an eleven-year-old can make it! Great for salad dressings, on sandwiches and alone on fresh-baked French Olive Loaf. 1/2 teaspoon Dijon mustard (Mustard! you say? So did I, until I learned it’s an important part of the chemical reaction that’s about to happen, and don’t worry, everything will end up the creamy white color we’re used to). Snow Crash is Neal Stephenson’s third novel, published in 1992. Like many of Stephenson’s other novels it covers history, linguistics, anthropology, archaeology, religion, computer science, politics, cryptography, memetics, and philosophy. The Golden Rule: Don’t judge a book by its cover. Unfortunately this largely doesn’t apply to eReaders. Long gone are the days of flipping the book to the front and staring at the image, puzzling out its meaning and pondering what I’d just read. The Deliverator took out his gun, centered its laser doo-hickey on that poised Louisville Slugger, fired it. A Stellar performance by Dead Can Dance. Lisa Gerrard’s voice was so powerful and beautiful / such range and emotion that I had chills though out the night. 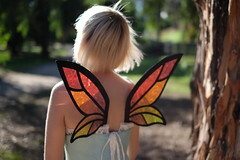 She looks beautiful, if not preternatural, and wore a long cape/sash like garment that when the light hit it, made her look like an Angel or a Superhero. Both apply. Brendan Perry’s voice is in its absolute prime. His rendition of “Song to the Siren” was superbly done, however I missed Robin Guthrie‘s artful shimmering guitar, as they performed “Song to the Siren” on a joint tour last year. I found this video of “Anabasis” performed the same night we were there, the video is a little far back, but this song was so hypnotizing and the long note she hits at the end continues to give me chills! Thank you to misshousegirl for the fab video! And thank-you Slicing up Eyeballs for directing me to it. Check out more of the Dead Can Dance North American Tour Set List. Fashion, Film, Photography – I am mad for Milla Jovovich, and I call it Milla-Love. 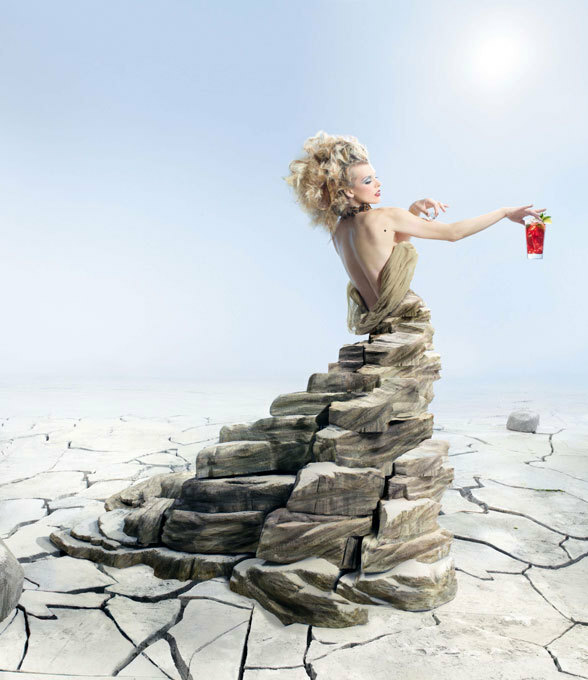 Italy’s prestigious aperitif brand Campari releases a limited-edition, exclusive calendar starring a celebrity. For 2012, the brand invited Milla Jovovich. 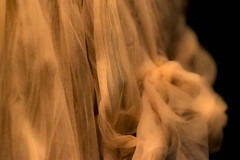 The photos were shot by French photographer Dimitri Daniloff. Entitled It’s the End of the World, Baby!, it draws inspiration from the ancient Mayan prediction that the world will end on December 21, 2012. Roasted butternut squash, pears and ginger simmering in their own broth. In honor of the First Day of Fall – well, the first day that actually feels like Fall in southern california, I’m making delicious butternut squash soup. It’s so good, I had to fight myself from finishing the roasted ingredients before I finished making the soup! Added benefit: your home smells so wonderfully autumnal from the roasting ingredients. DaVinci’s triumphant foray into the world of plumbing! The faucet in question, next to my new alan wrench set! Our kitchen faucet was dribbling water in the middle. I could abide no longer! So, I looked up the cause online, just replace the stem.. easy, it’ll be a simple fix. Right? Wrong. What I learned is in plumbing, there is no “simple fix”. I just cooked up and savored my first ever gooseberry fool. 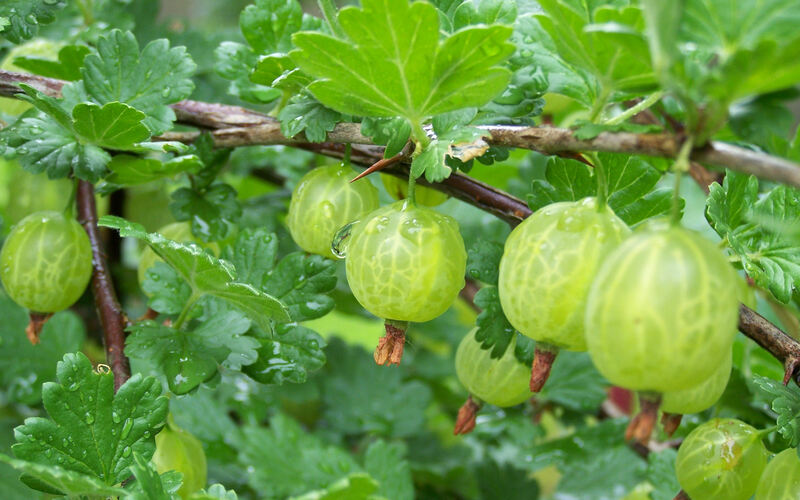 I noticed gooseberries at the market and, curiosity winning, bought them without thought of what to do with them. Silly me, I thought I could pop those tiny green globes like a blueberry… puckering up, I realized my error. I found the recipe for gooseberry fool easily, out of the supremely limited recipe options for gooseberries. I don’t usually make desserts, but the name had the ring of a time far gone, and the ingredients were supremely indulgent. 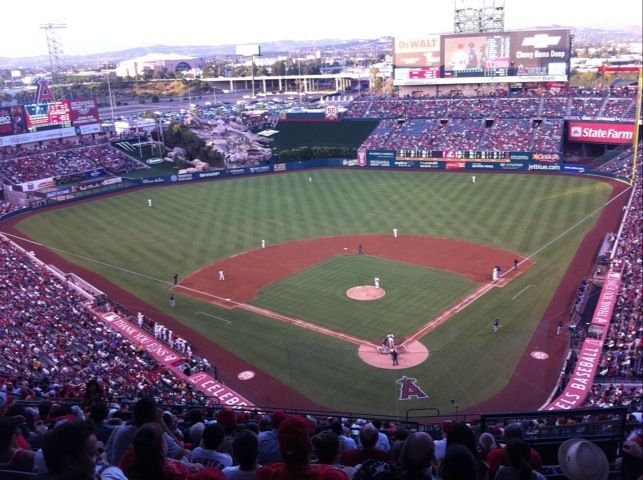 Our very first game at Angel’s Stadium! Won compliments of the Halo Girls at Matador Cantina last week. The Angels nailed Two home runs and won against the Twins! Perfect, beautiful warm orange county evening to go to the ball game! I’ve loved nearly everything Tori Amos has put out for all sorts of reasons. Little Earthquakes and Under the Pink were with me as I was coming of age. Boys for Pele and From the Choir Girl Hotel were fun to explore the fringes: darkness, anger, desperation, and even silliness. Ultimately, she helped me realize I had license to be myself – the worst case scenario being that I’m a weird-o, and best case scenario being that I’m a super-awesome, creative free-thinking woman.